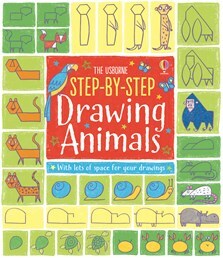 Complete beginners can learn how to draw all kinds of animals, from a koala to a llama, a scorpion to an armadillo, in this fun drawing book. Each page has colourful, step-by-step instructions with space to practise and doodle in. Includes additional hints and tips for drawing animals in their natural habitats, changing their facial expressions and colouring in.